A Gentleman’s Guide to Love & Murder! Welcome to the information page for tabletop game booths here at Cecil Con 2019. Below is information about participating at our convention. Tabletop Game Booths are FREE to those individuals, organizations, and studios that wish to promote their alpha/beta games, finished games, and demos. Apply below. 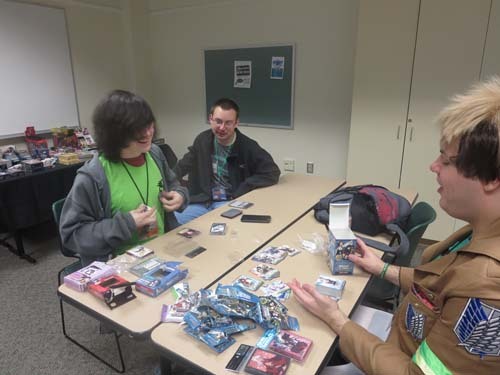 The Tabletop Game Center is in the Phys Ed Building on the 1st floor, by the Artist Alley/Vendor’s Hall. It is the responsibility of the artist/author secure their table/space and merchandise during the allotted set-up time and convention hours. Cecil College and Cecil Con staff assume no responsibility for vendor tables, merchandise, injuries, or damages. If you wish to display something on the wall, please confirm with the Cecil Con staff before doing so. Electricity is only provided for those Artists/Authors who request it. Participants may bring extension cords or power strips to access electricity. All tables must be cleaned up, dismantled or “broken down” by 8pm on Saturday, April 13th. Each vendor is permitted to have 1 additional helper at their table. Cecil Con is a family convention open to all ages and therefore mature content is not allowed. Music is not permitted during convention hours. The Tabletop Game Center has a NEW home. It is located next to the gym on the first floor of the Phys Ed building. To access the unloading area, drive to the rear of the Phys Ed building. Cecil Con volunteers will be there to help you unload; please ask for assistance. 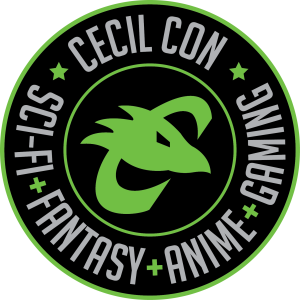 For our purposes, the individual submitting the application will be the main contact person leading up to Cecil Con 2019. Additional advertisement on our con website, or in our convention booklet can be purchased, simply request an Ad Rates Form and/or view our sponsorship options. Thank you! Tableop Game Booth tables are FREE, and include one 5' x 2' table, 2 chairs, 2 event passes, and a listing on the website, a shoutout on social media, and a listing in the convention booklet. All applications will be reviewed by Game Master Matt within a week of submission. The event space has free wi-fi for all. This type of space is for displaying games and interacting purposes only, it is not for the sale of any items. If you would like to sell items please fill out either the Vendor’s Hall or Artist Alley form. Description of your game studio. Electricity is provided for free. No extra charge. Please bring your own extension cords / power strip. Short info paragraph about the game/organization/convention/etc. suitable for the convention booklet, website, or social media. Links to Social Media. List as many as you want. These will also be mentioned on the con website and social media. By entering your name below you are signing that you agree to the above terms and conditions set forth for having a table/space at Cecil Con 2019. The content here does not necessarily reflect the thoughts or opinions of Cecil College. © Copyright 2015-2018, Cecil Con. All Rights Reserved. Website Design by Grunge Muffin Designs.